ADC BioScientific Ltd. has developed a new high quality soil respiration chamber for use with the ADC LCi and LCpro portable photosynthesis systems. The chamber comprises a lower stainless steel collar and a detachable upper compartment which connects directly to the chamber handle of an LCi or LCpro system. CO2 flux is measured by the highly accurate, miniaturised CO2 IRGA, located directly adjacent to the soil chamber in the handle of the LCi and LCpro systems. 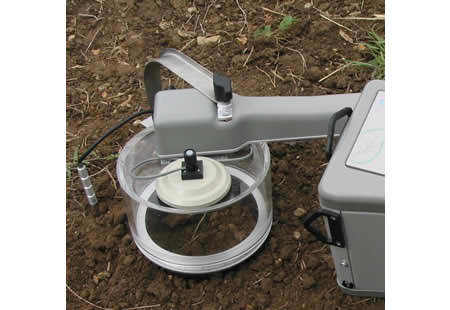 The collar is inserted into the soil prior to measurements being made ensuring optimal positioning of the chamber, regardless of soil condition or type. A collar insertion tool is provided to aid this placement.